What is the Feed in Tariff? The Government launched the Feed-in Tariff on 1 April 2010; this is a premium payment for every unit of electricity that is generated by small solar panel systems. The Government has announced a review of the FiT (31/10/11). This will be a comprehensive review of tariffs up to 250kW. Details of proposed changes are listed below. The consultation period closes 23 December 2011. The Feed-in Tariff is tax free to domestic households and index linked to inflation for both commercial and domestic installations. All PV installations under 5MW, private and commercial are eligible. On the commercial side, the feed-in tariff will encourage photovoltaic (PV) installations among farmers, rural businesses, small and medium enterprises. The Energy Act 2008 provides powers to introduce feed-in tariffs (FiTs) for small-scale, low-carbon electricity generation – up to a maximum of 5 megawatts (MW) capacity, or 50 kilowatts (KW) for fossil-fuelled combined heat and power (CHP). You receive 12.03p per kWh of generated electricity, regardless of whether you use it or not. This is guaranteed by the Government for 20 years and is also indexed linked and totally tax free. You will also receive a payment of 4.85p per kWh for 50% of the energy that you produce which is exported to the grid. You receive 10.90p per kWh of generated electricity, regardless of whether you use it or not. This is guaranteed by the Government for 20 years and is also indexed linked and totally tax free. You receive 10.92p per kWh of generated electricity, regardless of whether you use it or not. This is guaranteed by the Government for 20 years and is also indexed linked and totally tax free. You receive 10.34p per kWh of generated electricity, regardless of whether you use it or not. This is guaranteed by the Government for 20 years and is also indexed linked and totally tax free. You receive 9.81p per kWh of generated electricity, regardless of whether you use it or not. This is guaranteed by the Government for 20 years and is also indexed linked and totally tax free. Evidence of property’s EPC rating will be required when applying for FITs. If no evidence showing the EPC has a band D or higher than the lower rate will apply (5.73p/kWh). Once you are receiving Feed-In Tariffs, the rate you get will increase in line with inflation in accordance with the Retail Price Index (RPI). 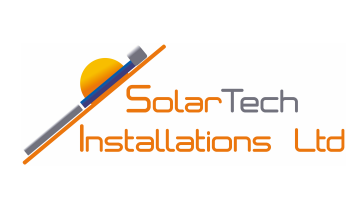 For a site-specific calculation and bespoke report showing how much you could earn through Feed-in Tariffs for solar PV, contact us. You can also click here for the latest Ofgem figures and information of the solar panel feed in tariff pause. Phase 1 : the introduction of the RHI for non-domestic installations in the industrial, business and public sectors. Phase 1 of the RHI provides financial incentives to eligible, non-domestic renewable heat generators and producers of bio methane, for the life of the installations or up to a maximum of 20 years. Ofgem is responsible for administering the scheme. DECC intend to introduce a system of digression to control the costs of the scheme. This is where tariffs are reduced over time for new applications to the scheme. Those who have already secured their tariff will not have their tariff reduced due to cost control. DECC will announce further details on the cost control policy in autumn 2013. Please note that this is not an exhaustive list of all the criteria of the scheme and the details of the scheme are subject to further clarification and parliamentary approval therefore please keep this in mind when making a decision about installing a renewables system. You can find further details about the scheme and link to all the related policy documents on the UK Government website .